Pacifica Psychological Services | Kathline Colvin, Ph.D.
Across the centuries the link between creativity and mental health has been observed, and there have been many examples of compelling associations that support this relationship. Creativity is one of those elusive things that is extremely hard to define, yet once you’re in its presence you absolutely know it. At times, creativity might seem like magic, and it bewitches us into thinking that simply being “creative” is enough; that if you have that magic ingredient then you don’t need to work as hard. Well, that’s simply not true. Didn’t a wise artist once tell us that creativity is 10% inspiration and 90% perspiration? We’ve also heard that “Art Can Heal Your Life” but if we want to experience art’s awesome power then we have to engage the process of art-making to its fullest. 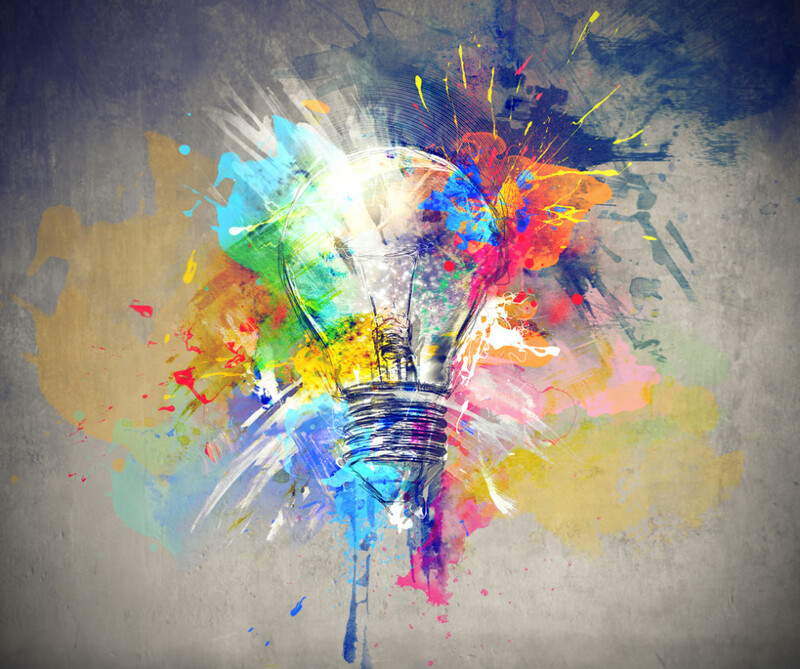 If you’re going to do your best creative work — and isn’t that what we all want — then it’s time to consider these truths about creativity. There are not many original ideas around anymore because most ideas contain fragments of thoughts that others have expressed before. It may even be true that there is no such thing as a new idea. Yet, one of the most striking things about the creative process is our ability to build on each other’s ideas, reshaping them and making them our own. So, go ahead be inspired, borrow and craft ideas into your own expressive product – just don’t think of them as “original”. Sometimes inspiration strikes us at unlikely moments. The problem is we think it’s some kind of magic coming out of the air, or that our muse has finally visited us. Research has shown that inspiration is not magic at all, but rather our brains making fascinating connections behind the scenes. Shelly H. Carson, a researcher from Harvard, named it the “incubation period” which happens when you’re distracted and letting your mind roam free allowing interesting associations to blossom. That’s why it seems random — your brain is consciously working on other things, but your subconscious is making creative connections without you realizing it. Everyone can be creative, because creativity is a trait that exists in every single one of us. The question becomes – are we expressing ourselves to our fullest potential. The degree of personal creativity doesn’t depend on an innate quality, but rather on how hard you work. You could be as talented as Pablo Picasso, but if you don’t work expressing your creative ideas they won’t emerge on their own. Creativity isn’t something you’re born with. Yes, it’s true that talent can be inherited, but the hard work endured during the creative process is necessary to be successful. Not only is creativity taught in colleges and universities all over the world, but you can actually train your own brain to be more creative simply by doing creative work over a long period of time. We now know that the phenomenon of neuroplasticity allows our brains to change daily with the experience of focused cognitive effort – like playing a musical instrument or learning to do watercolor paintings. We can consider inspiration and originality as myths, yet vulnerability remains an important quality for anyone who wants to do beautiful creative work. Do you remember the last time a piece of art revealed its truth to you? Whether it’s a photo, a painting, a blog post, or a piece of music – something that made you feel recently. Imagine what that creative person must have done for it to affect your feelings like that. The world is made up of much more than material things, it’s also shaped by the meaning of things and the essence of the spirit that touches others and heals. So, you must resonate with your feelings and be vulnerable to do creative work. Most creative artists speak of the fear they must conquer on a daily basis to realize their creative potential. Fear is ever-present because it is your body’s way of protecting you from harm. For a creative person, fear is also your body’s way of telling you that you’re onto something special, uncharted and unfamiliar, yet so worthwhile. Rather than shying away from fear, consider it part of the creative process and move toward it with confidence. Fear is necessary because can lead you into the experience of flow and likely bring you to new creative heights. People frequently give up when trying to complete a creative project because they experience blocks in their way. Enduring creative blocks and frustration are essential parts of the creative process. Author Elizabeth Gilbert talks about the importance of frustration in an Inc. interview: “The frustration, the hard part, the obstacle, the insecurities, the difficulty, the ‘I don’t know what to do with this thing now,’ that’s the creative process,” she says. So know that being creative is hard, because if it wasn’t, it might not be worth doing. The idea of the “lone creator” working long hours in their studio in Paris is an outdated romantic notion and not realistic. People are social beings and born to collaborate, even if it’s only on the level of sharing your progress on Facebook or with friends over drinks. Also, a lot of supportive work accompanies the creative process, from family members cooking meals, to providing quiet time so you can pursue your work, to helping pay bills. Ernest Hemingway didn’t write all of his books on his own — he had a great wife. In David Burkus’ book Myths of Creativity, he discusses creativity as being a “team sport.” From Edison to Michelangelo, creative people have been successful working in teams — to produce the greatest innovations in history. Higher pay might not encourage greater creativity. As research shows that greater incentives might harm creativity. One study from Harvard Business School, cited by Christian Jarrett, put art created for pleasure and art created for pay in front of a panel. The judges didn’t know which work was which, but in the end they rated the work created for pleasure consistently higher than that created for pay. Again we can consider that art is an activity of the inner nature, the best of which is not extrinsically motivated. 10. It doesn’t get easier. It doesn’t seem to matter how good you get in your creative profession — being creative doesn’t get easier. The best prognosis is that art-making becomes increasingly more satisfying and meaningful to you and to your audience as you endeavor towards excellence. The rewards that accompany engaging in the creative process are intensely personal, and as many will tell you so worth it. The R(evolution) of American Opera – Alive and Well in Santa Fe!